Absent but not Forgotten were very pleased to be invited to haunt the recent Made in Roath event, Dark Dark Night Walk on Saturday 18 January, a night-time walk around Roath starting in Roath Park Rec. 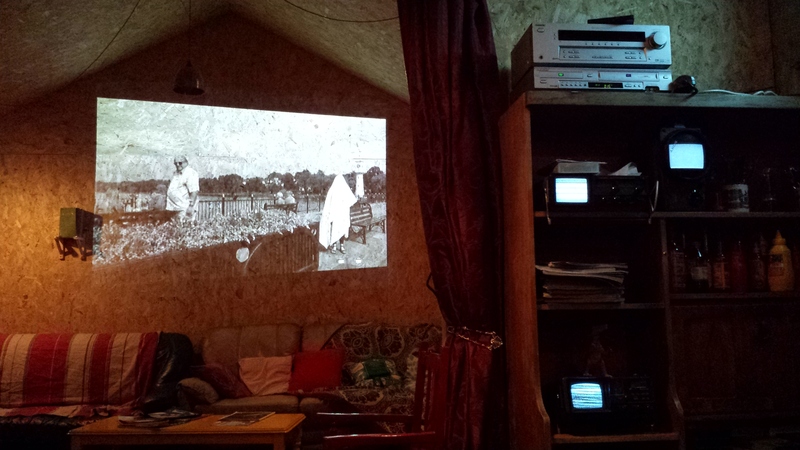 It was a perfectly cold, crisp evening – we could be spotted at various locations along the route finishing with a re-showing at Spit & Sawdust of our Made in Roath ‘Haunting Places‘ films made in the summer of 2014. This entry was posted in Exhibitions, Haunting Places, Made in Roath, Uncategorized and tagged Absent but not Forgotten, art, arts, ghost, ghosts, Haunting, Haunting Places, Made in Roath, paranormal, Public, spooky, video, Wales by Jacob Whittaker. Bookmark the permalink.